February Has 28 Days. Do You Know Why? February is a tag-on month. It didn’t even exist when the Romans first started what would become our calendar. The goal was to merge the moon’s 29 ½ day month with the sun’s 365 ¼ day year. The first attempt was made by Romulus, Rome’s founder, who included 10 months, adding up to 304 days. Apparently, Romulus was as good with numbers as I am. And by good, I mean horrible. Next, according to legend, came King Numa Pompilius who added January and February. The total number of days was then 355, about the number in 12 lunar cycles, but still 10 to 11 days short of a solar year. 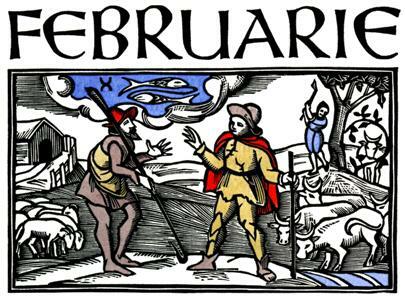 King Numa decided to add another month, called Mercedinus, which would be added to February every other year. King Numa’s calendar was getting closer, but it still wasn’t right. Julius Caesar decided to get rid of Mercedinus and ignore the lunar cycle. He worked it out so that the number of days in 12 months added up to exactly 365 ¼. As a result, February ended up with 28 days plus a 29th every four years. Julius Caesar’s calendar is the one we use today. There has been some chatter of reforming the calendar so there are 13 months, each with 28 days. That would add up to 364 days, which would require only one extra day (two in leap years) to make the system simple. But more than just math makes our calendar. Its luni-solar roots can be found in our cultural, religious, and even business lives. The irregular calendar is our most lasting connection to ancient civilizations. next post: Matthew McConaughey!! Hip, Hip, Hooray! Hi, I am impressed knowing all these. I was not aware of it. Then why do we have 31 days in two consecutive months ie. July n Aug ?? 51 queries in 0.874 seconds.